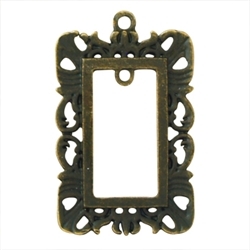 Vintage memory frame to hang a picture of a loved one off a bouquet. Needs to be attched with a riibon. Outer size 5cm x 3cm, inner picture size 3cm x 2cm.